The macula is a small area (5mm in size) located in the very central part of the back of the eye (the retina). 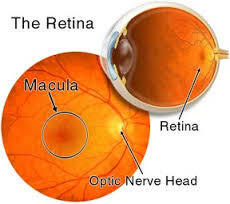 The macula contains a higher concentration of photoreceptors (cells which absorb light and transfer the information to the brain for visual interpretation) than the rest of the retina. The macula is responsible for providing sharp central vision as well as recognition of colours. We use our macula for all ‘straight-ahead’ tasks such as driving, reading and recognizing faces. The rest of the retina is used in peripheral, or side, vision. What is Age-Related Macular Degeneration ? Age-related macular degeneration (AMD) is a disease that affects the macula and has the ability to greatly affect central vision. Damage from AMD is thought to be due to oxidative stress and accumulation of waste products generated by metabolic processes within the retina. AMD generally affects people aged 50 years and older, and it is the most common cause of irreversible vision loss in this age group. AMD does not cause total blindness but it does interfere with many activities of daily living and can severely affect quality of life. In dry AMD, there is a gradual breakdown of the light-sensitive photoreceptors located at the macula. Dry AMD tends to progress gradually and usually both eyes are affected. In wet AMD, abnormal blood vessels start to grow under the macula. These new blood vessels are very fragile and will leak blood and fluid. The process is analagous with grass or roots growing up through cracks in concrete, however the grass (blood vessels) cause damage to the surrounding concrete (retina and macula). Unlike dry AMD, damage to the macula and loss of central vision will occur rapidly in wet AMD. Wet AMD is a treatable condition but early detection is critical for stabilising vision. If you notice any sudden distortion in your vision, contact your eye care practitioner immediately. Can dry AMD convert to wet AMD? Yes. 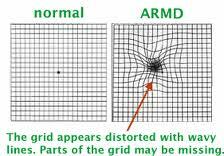 Dry AMD can potentially cause vision loss by either turning into wet AMD or by causing progressive and extensive destruction of the photoreceptors (known as geographic atrophy). There is no way to tell if or when the dry form will turn into the wet form. Regular screening examinations with your eye care practitioner will allow early signs of AMD to be detected. Retinal Examination: examination of the macula is usually done through a dilated/enlarged pupil. In early dry AMD, there will often be small yellow spots at the macula (drusen) which represent the accumulations of metabolic waste products. Optical coherence tomography (OCT) allows non-invasive imaging of the macula in cross-section. It can identify areas of macular thickening or thinning, as well as detect the presence of abnormal blood and fluid under the macula, as seen in wet AMD. OCT is also helpful in monitoring the response of wet AMD to treatment. In fluorescein angiography, fluorescein dye is injected into a vein in the arm which then travels to the eye. A series of photographs are taken as the dye passes through the blood vessels in the retina. The abnormal leaky blood vessels that form in wet AMD will appear as a white patch. Fluorescein angiography is essential in diagnosing or excluding wet AMD. It will also detect subtle changes in macular pigment due to dry AMD changes. For moderate and advanced dry AMD, treatment with anti-oxidant supplements can slow and/or prevent vision loss. The Age-Related Eye Disease Study (AREDS) found that specific high-dose formulations of anti-oxidant vitamins such as Macuvision Plus™significantly reduced the risk of AMD progression and vision loss in high-risk patients. Lutein & Zeaxanthin supplements (eg Lutein Vision™) have also recently been found to have protective effect on the macula. These tablets will not restore vision that has already been lost and does not benefit those with no or mild AMD. AREDS vitamins are not known to increase the risk of serious conditions such as heart attack, stroke or cancer. What treatments are available for wet AMD? The current treatment for wet AMD is anti-VEGF therapy. VEGF is the chemical in the body responsible for the formation of abnormal leaky vessels in wet AMD. There are several anti-VEGF drugs currently available, including Eylea, Lucentis, and Avastin. Eylea and Lucentis are PBS-approved for specific cases of wet AMD. Avastin is a very similar drug but was not originally developed for use in the eye. It can be used as an ‘off-label’ agent if government funding is not applicable. 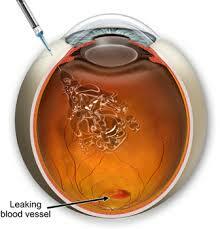 Anti-VEGF agents are injected into the eye after the eye has been completely numbed with local anaesthetic. Three injections are initially required to stabilise the wet AMD – this is known as Induction Therapy. 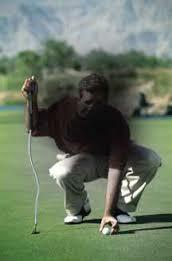 Maintenance Therapy will be usually required every 4 to 12 weeks thereafter to maintain vision. Anti-VEGF treatment can stablilise and prevent further vision decline in 95% of patients. It may even result in an improvement in vision in 40% of patients. However, wet AMD may sometimes continue to progress despite treatment. Living with AMD – what do I need to be aware of?